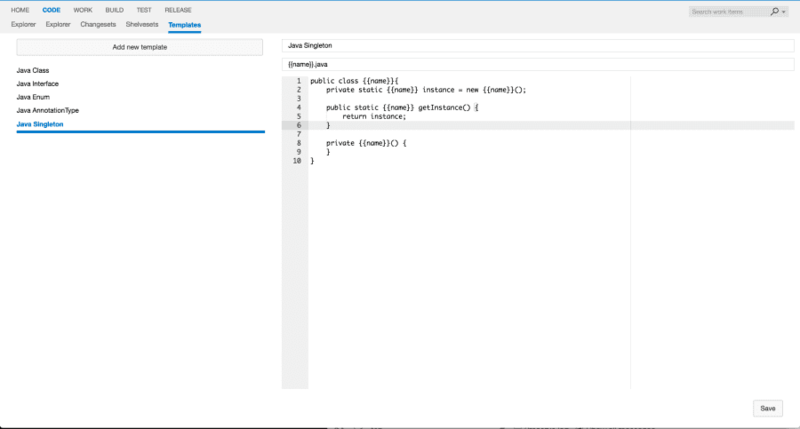 Provides a way to create files from templates like java files, enums, ... in vsts. In Visual Studio Team Services you can add, edit, and delete files right from the web. However, if you need to create files from the specific template it's not that easy. This extension provides a way to create files from templates that you can specify yourself. The extension comes with a set of templates for Java developers, but you can add as many other templates as you'd like. Works with both Git and Team Foundation Version Control source repositories. From the Code hub (Explorer subhub), select a folder to create the new file under. Right-click and select Create a new file from template. 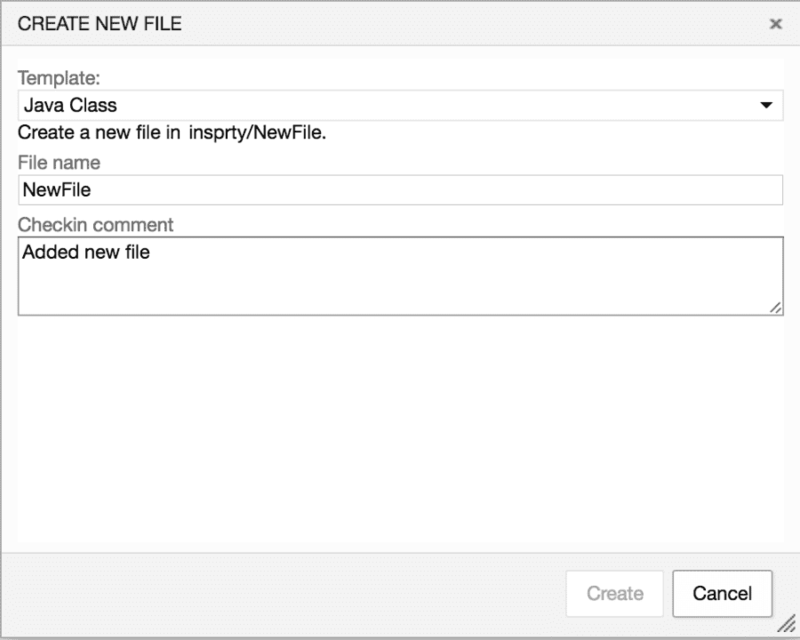 Specify a template, file name and an optional checkin comment. Click on Create. The new file from template is created. From the Code hub (Templates subhub), click on Add new template button in top left corner. Specify name of the template, name template and the template itself. Press Save button in the bottom right corner. Now you can use your new template to create files.